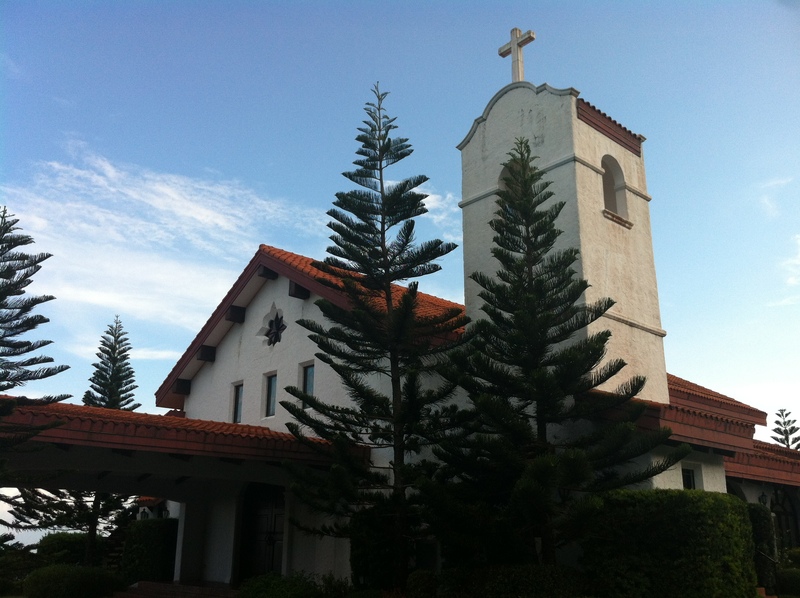 The ceremony will be held at Madre De Dios Chapel in Tagaytay Midlands. Tagaytay Midlands Golf Club situated amidst a dense forest 1,000 feet above Taal Lake, with a picture-perfect view of the Taal lake and volcano. 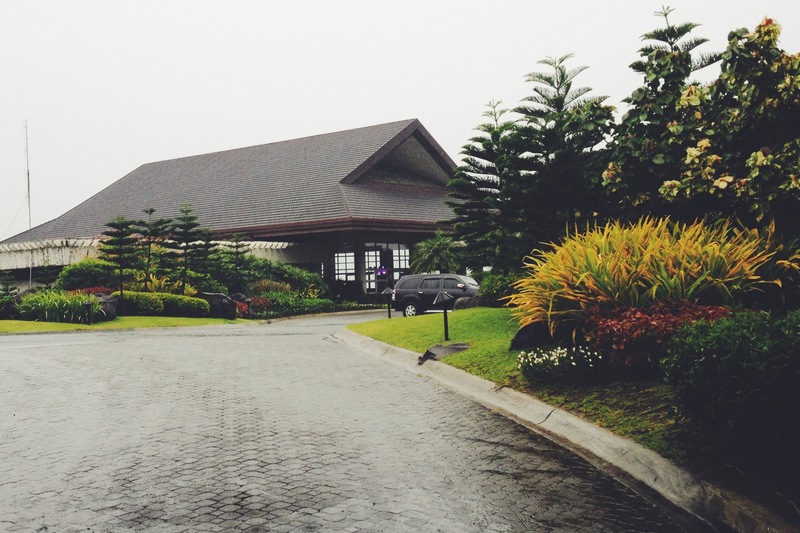 This is located inside the exclusive members-only Tagaytay Highlands Golf and Country Club. Linking the Midlands and the Highlands is a 48-seater funicular transport system, which takes passengers to their destination while offering a panoramic view of Taal and the Midlands Complex. 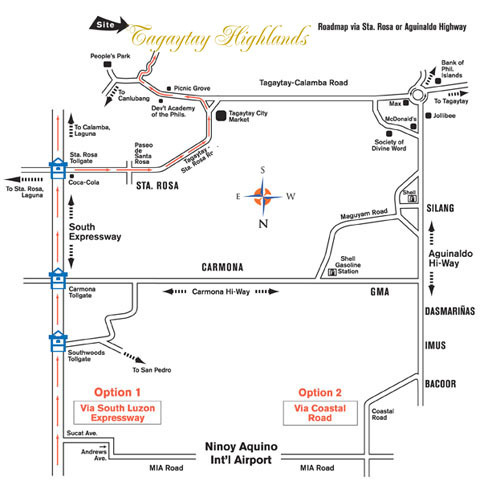 As you enter Tagaytay Highlands, a map will be given to you by the guards directing you to the Midlands Country Club. 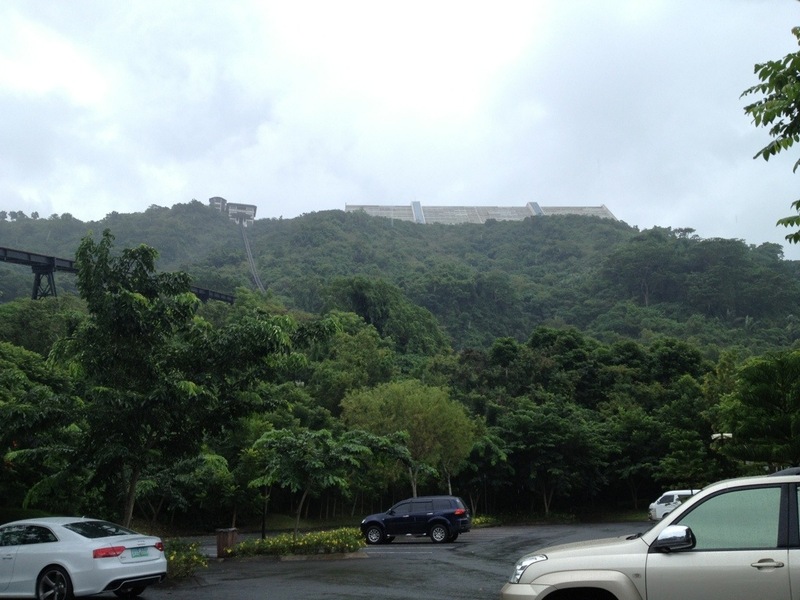 You can park your car in this parking lot (picture below) and climb the stairs towards the Madre De Dios Chapel. 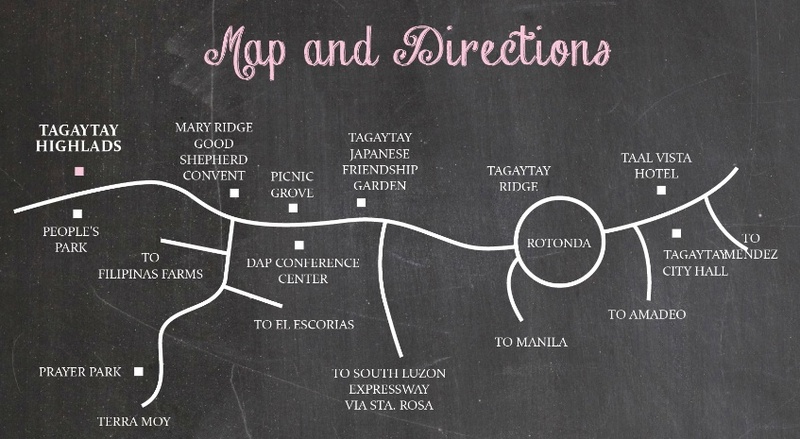 After the ceremony, the reception venue is just a short walk away. 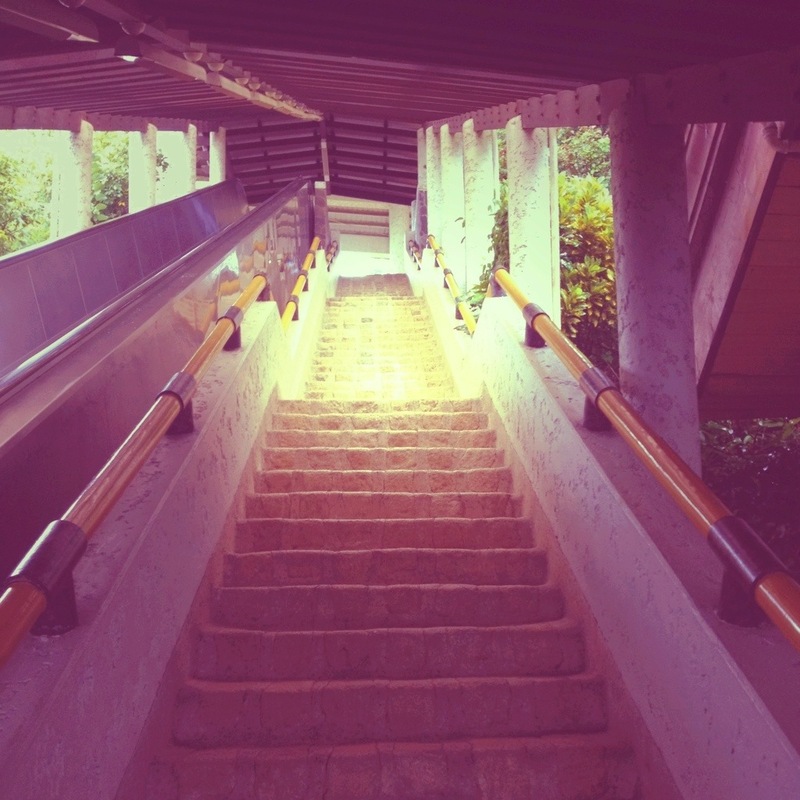 You can walk through a hallway connecting the chapel and the clubhouse and ride this escalator (picture below) leading you to The Veranda where cocktails, pica-pica and fun game booths and photobooths await! You might also like Deciding When and Where.